Charming, well cared for Vancouver Special with loads of updates. This lovely 3 level home features 2 bedrooms on the main living room, an open concept master bedroom suite on the top and a bonus 2 bedroom legal suite on the ground level.Stylishly renovated with contemporary flare at every corner. New fibre glass roof with 30 year warranty, high ceilings, lots of natural lighting from skylights, 2 gas fireplaces, designer colors throughout. Stainless steel Frigidaire professional series appliances & more, The master suite on the top floor also boasts a sitting area, an ensuite with a jacuzzi tub & two more private balconies. Close to parks, transit, PNE, grocery shopping & easy access to hwy 1. 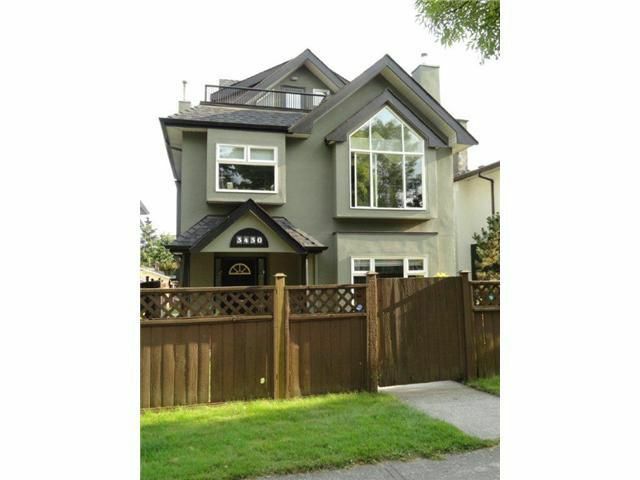 Minutes to SFC, BCIT & Metrotown.